Stone-Mart has been a direct importer of travertine tile for over a decade and offers one of the nations largest selections of finishes, tile sizes, patterns and colors, direct to the public at affordable prices. 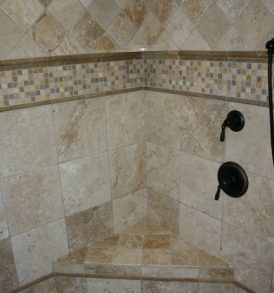 Our tumbled travertine tiles are a standard in the building industry for quality materials at an affordable price. The surface of the tumbled of tumbled travertine is a velvety surface with small natural features in the stone that add character. These small indentations are from CO2 bubbles that were trapped in the stone during formation. The tumbling process puts the tiles in a large tumbling machine with other materials that remove any lose pieces or sharp edges making the stone surface just slightly matte providing just enough grip for safety. You can request a free sample and there are always ongoing specials and discounts available. 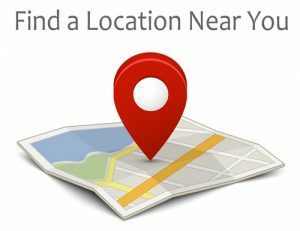 The staff will be happy to advise professional installers and home-project, do-it-yourselfers alike with on-going phone support and how-to videos. As a natural stone tile material, travertine emerges pitted from the quarry, but can be finished into tumbled travertine tiles and polished travertine tile for those projects requiring a more refined look. It is available in a wide range of colors from ivory white to yellow-gold to rustic red. Travertine adds style and glamor to floors, walls and hallways; anywhere the ageless beauty of natural stone tile can be used to enhance the aesthetics and functionality of a building. We offer “tumbled, brushed and Chiseled, honed and filled, and polished finishes. Travertine is a natural stone tile that has been used down through history to enhance the beauty of buildings both public and private. Such famous structures as the Roman Colosseum and the Colonnade of St. Peter's were constructed, in part, out of travertine. Nowadays, its sophisticated elegance, non-slip surface and durability make it a popular choice for bathroom floors as well as exterior and interior decors that make plentiful and dramatic use of wall and floor tiles.